Nike has just revealed their new Air VaporMax hybrid silhouette mashup. 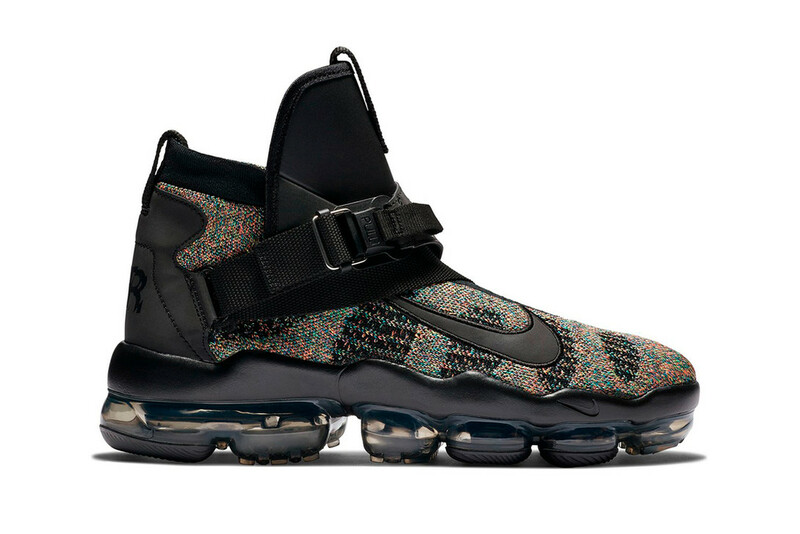 This is called the Air VaporMax Premier Flyknit which is inspired by the unique upper of retired NBA star Gary Payton’s Nike Air Zoom GP signature shoe. It features a leather shroud and canvas lockdown strap adapted from the Air Zoom GP, which provides a uniquely-secure fit. It is set to debut in a black, grey and a multicolor option, medial paneling, a leather tongue and matching lateral Swooshes serve as the additional detailing elements on the upper.